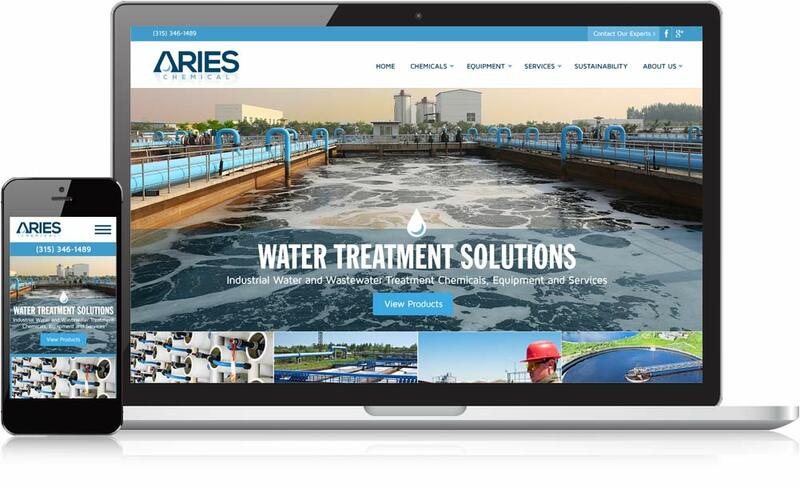 Aries Chemical helps businesses in a variety of industries with water treatment chemicals and wastewater treatment equipment to ensure their facilities are reaching their goals. They teamed with Mannix Marketing to begin an SEO maintenance program that covered the entire site, from titles to content to high-quality inbound links. The partnership continues today, in large part because of the fantastic returns Aries Chemical has seen from their investment in SEO. Through a carefully planned SEO program, Aries Chemical and Mannix Marketing have seen a steady increase in targeted traffic to the website that is looking for exactly what Aries has to offer. By starting with keyword research to find the phrases that are being searched on and applying SEO fundamentals to the site, they have built a great base for which to continue to grow their SEO program and capture even more traffic and new customers. Increased number of top-10 positions we were targeting from 20 to 61. The site now has 14 number 1 placements. Realized a first-time presence for many targeted keywords. Visits to the site from search engines increased 127% in a one-year period! The number of phrases generating traffic to the site increased 144% over the course of one year!